Got Buzz @ Kurman Communications: Pots de Crème, Sandwiches, Snow Cones and Panini...enjoy great food this August! Pots de Crème, Sandwiches, Snow Cones and Panini...enjoy great food this August! Did you know that August 27 marks National Pots de Crème Day? This French dessert is a long-time favorite with rich and silky smooth characteristics, making it irresistible! 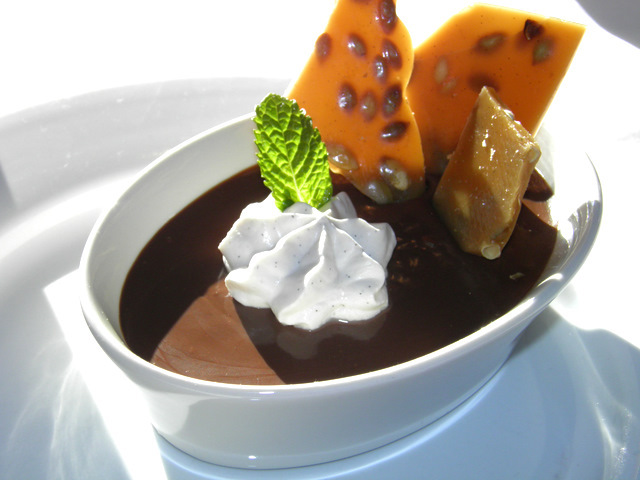 Bistro One West (1 W. Illinois St., St. Charles, Ill.; 630-444-0600) offers a delicious Chocolate Pot de Crème with roasted pumpkin seed brittle. Help us honor National Pots de Crème Day by enjoying Bistro One West's fabulous Chocolate Pot de Crème. is also available in high-resolution. August also marks National Sandwich Month! According to the History Channel, no other nation took to the sandwich the way America did--considering it the most democratic of dishes. Rumor has it, the sandwich owes its name to an 18th century British gambler who did not want to get his hands greasy during a card game--Sir John Montague, the 4th Earl of Sandwich. The sandwich has since been and remains a lunchtime favorite! 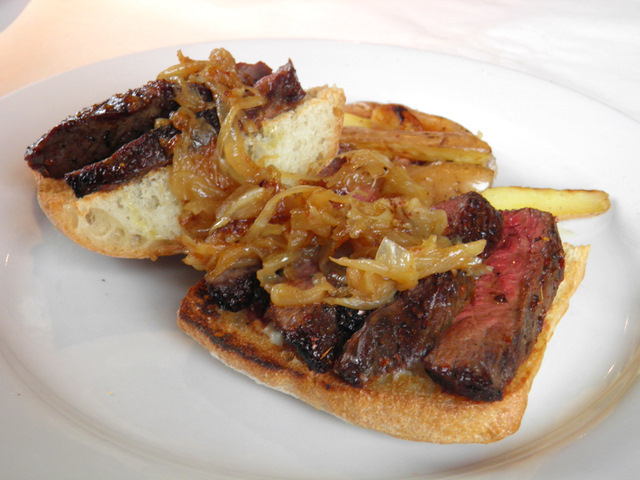 Sandwich connoisseurs are urged to try Bistro One West's Open-faced Steak Sandwich with caramelized onions, roasted garlic and herb cheese in honor of National Sandwich Month. This variation is everything a sandwich should be and is offered during lunch hours (Tuesday - Thursday from 11:30 a.m. - 2:00 p.m.). For more information about Bistro One West, please visit www.bistro1west.com. Prairie Fire and Sweet Miss Giving's are teaming-up 4:30 p.m. to 6 p.m. Friday, August 12 to serve tasty treats from Sweet Miss Giving's food truck in front of Prairie Fire (215 N. Clinton St., Chicago; 312-382-8300). Who says you have to be a kid to enjoy a refreshing snow cone? 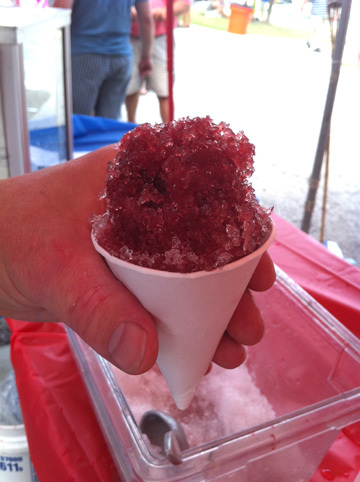 Prairie Fire will be serving two delicious "adult" snow cones including a Raspberry Agave Snow Cone with Hornitos tequila and a Bee's Knees Snow Cone with fresh lemon juice, honey, Licor 43 and Hendrix gin. Must be 21 and up to enjoy this cold treat. Also, did you know that August marks National Panini Month? 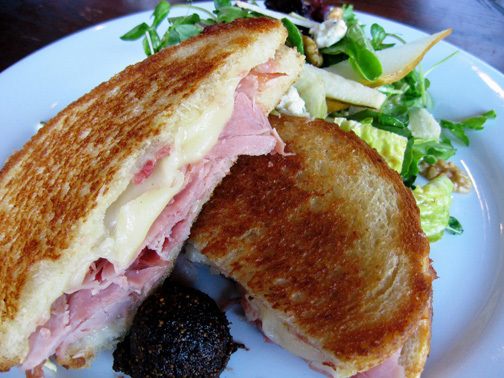 Panini originated in Italy and eventually made their way to chic U.S. restaurants. Today, there are many different variations of beloved panini. 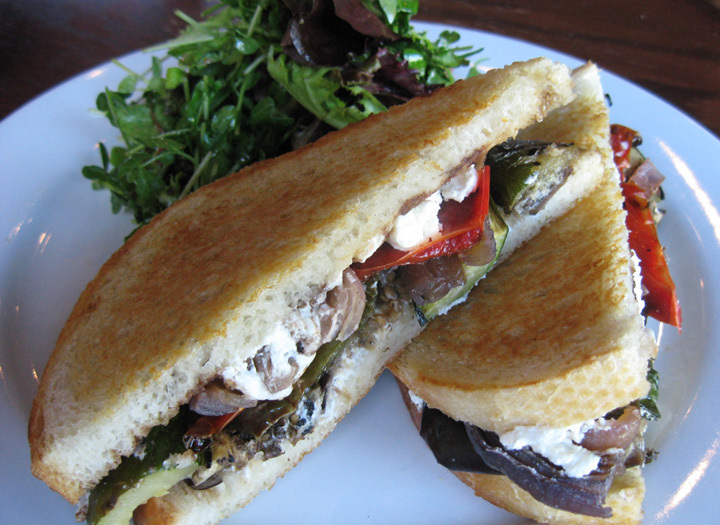 We hope you will help us honor two delicious panini served at Prairie Fire and Prairie Grass Cafe (601 Skokie Blvd., Northbrook, Ill.; 847-205-4433) by enjoying the Grilled Vegetable Panini with "Capriole Farm" goat cheese, balsamic reduction and mixed greens and the Grilled Sustainable "North Country" Ham and Parmesan-Swiss Cheese Panini with fig compote, organic mixed green, walnut, pear and crumbed Amish blue cheese salad. Image of the Grilled Sustainable "North Country"